Use as a hearty dip with plantain [pictured above] or corn chips, fill a pita pocket to bulging for a satisfying sandwich or roll some up in a tortilla for a burrito. Whatever way you choose, it makes for a healthy and delicious nosh. 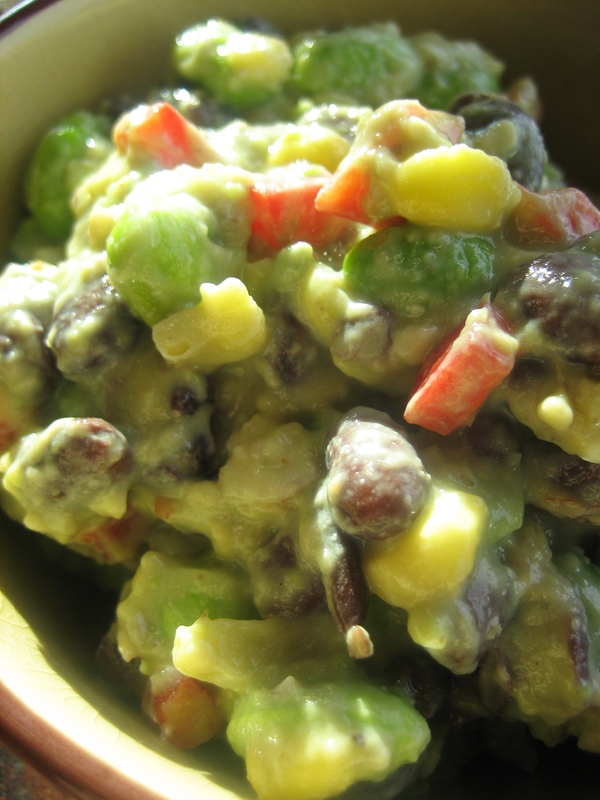 Simply smash the avocado in a large bowl and squeeze fresh lime juice over it. Add a few tablespoons of the caeser dressing and mash into the avocado. Toss in all the ingredients in the amounts you would fancy; I used about 1/2 cup of each vegetable. Let it chill out on the counter for about 30 minutes. Taste and season with salt and pepper and lime juice if needed. 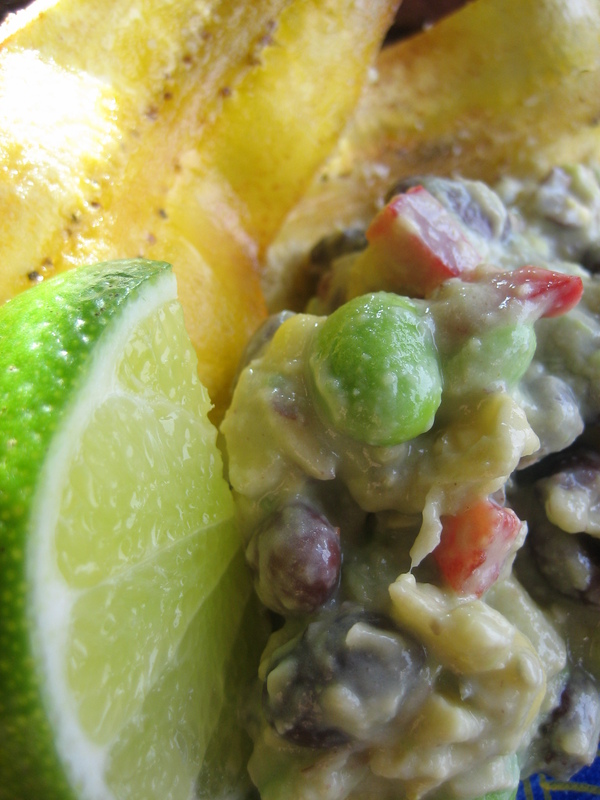 Serve with plantain chips and fresh lime. Or anyway you choose. The possibilities are endless.